For everyday paper needs, Classic Crest Premium paper is the best-in-class for quality and performance. Each sheet boasts a smooth finish and watermark for enhanced security. This versatile paper is compatible with copiers, inkjet and laser printers, and is the perfect companion for pens for writing letters and notes. Classic Crest, in Natural White, is the ideal choice for letterheads, proposals, reports, legal document, other workplace communications. 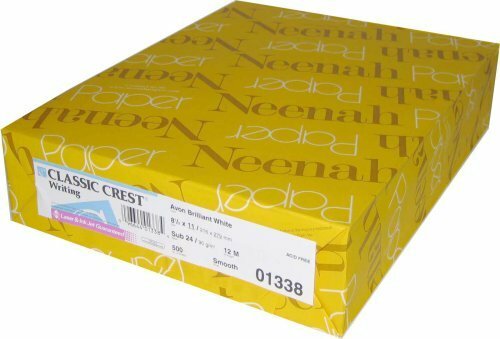 A7 Invitation Envelopes (5 1/4 x 7 1/4) - Neenah Paper Classic Crest Smooth in 70lb. 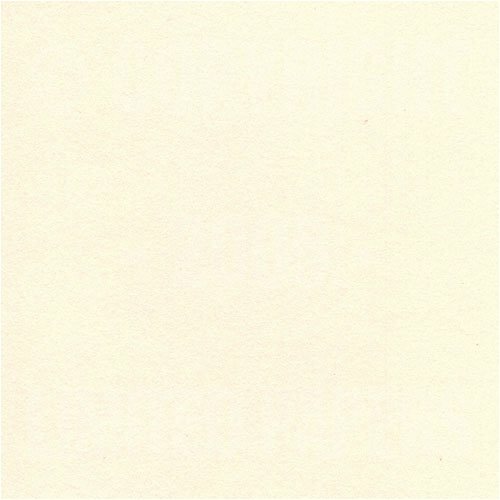 Natural White are soft off-white colored envelopes with a smooth finish. These envelopes have an elegant square back flap and are ideal for invitations, social mailings, greeting cards and more. Sealing these envelopes is made easy by a moistenable glue strip located on the inside of the back flap. 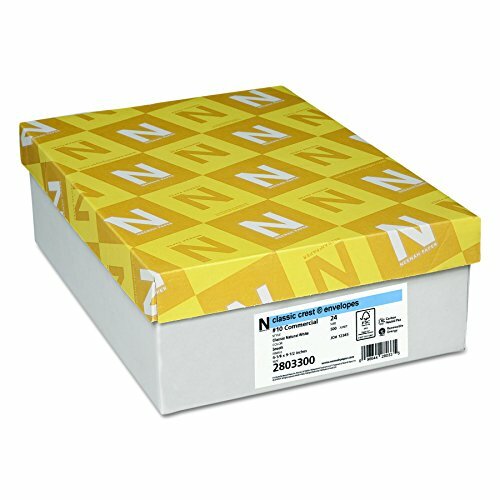 A7 envelopes are perfect for holding A7 flat and folded cards. You can also use the A7 size as an outer envelope for invitations, as smaller A sized envelopes (A6, A4, A2, A1) fit inside. Constructed from high-quality, durable 70lb. Natural White paper stock. Get the benefit of color without the expense of color printing. Bright colored paper for everyday use. Great for flyers, memos, newsletters, and more. Inkjet, laser and copier guaranteed. Consistent color from side to side, and run to run. Acid-free and lignin-free for long-lasting documents. #10 Regular Envelopes (4 1/8 x 9 1/2) in 24lb. 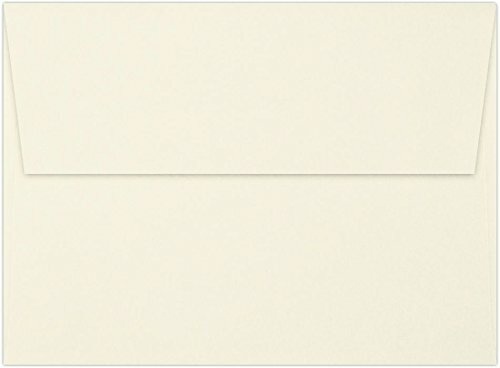 Classic Crest Natural White are off-white, versatile envelopes perfect for mailing checks, invoices, letterhead, personal letters, statements, and direct mail. These top quality envelopes are sealed by a moistenable glue strip located on the inside of the back flap. If you're looking for the perfect #10 Regular Envelopes for any event or business use, the #10 Regular Envelopes are the perfect choice and an amazing value. Click the yellow "Add to Cart" button now! 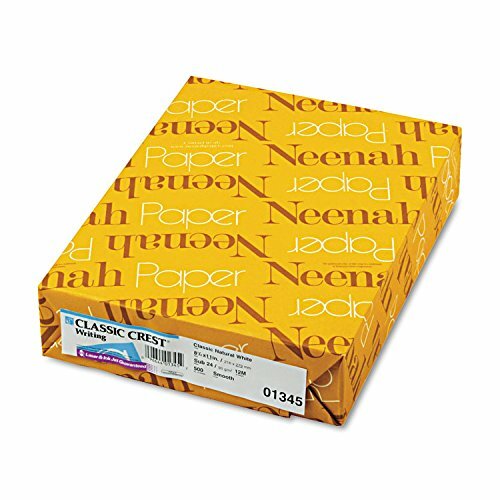 A2 Invitation Envelopes (4 3/8 x 5 3/4) - Neenah Paper Classic Crest 70lb. 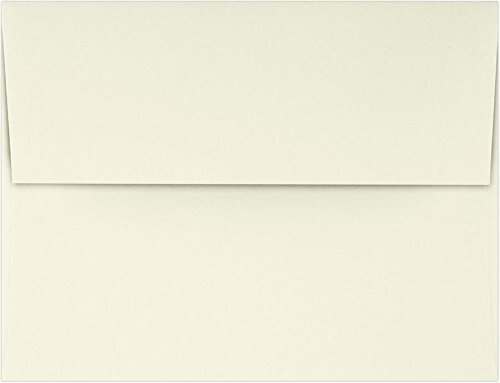 Natural White are off-white, versatile envelopes with a smooth finish. This envelope has a stylish square back flap, and is perfect for invitations, greeting cards, thank you cards, and is ideal for letters as it's designed to fit quarter-folded sheets of paper. Since the A2 envelope fits inside all larger "A" envelope sizes it's commonly used as an RSVP and return envelope, as 4 1/4 x 5 1/2 flat and folded cards fit inside. This A2 size envelope is easily sealed by a moistenable glue strip located on the back flap. Perfectly matches to the related brand envelope. Want more Classic Crest Envelope Natural similar ideas? Try to explore these searches: Union Pacific Diesel Engine, Cream Ladies Wind Jacket, and Possible Notepad.